Last Fling 2009- Day 2. These images are from the earlier part of the day only. I ran back home to download and do some things around the house for awhile. It is nice only living a few blocks from the festival. 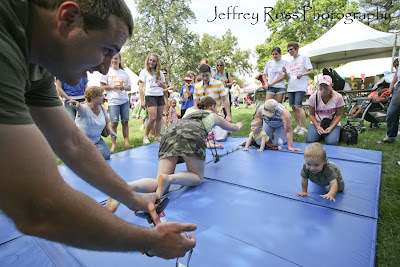 Last Fling is chock full o' crazy midwest family entertainment. I thought I'd show you some of the interesting things I've captured so far today. 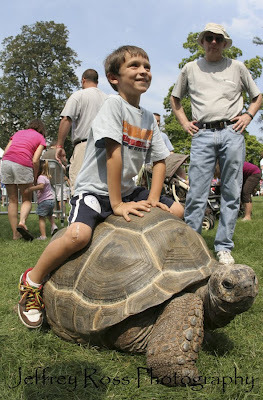 There was the giant tortoise (seen above). 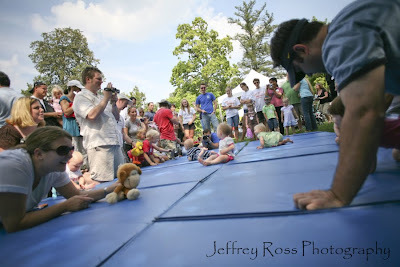 But what I would have to say was the most unexpectedly hilarious thing was the baby races, or as the Jaycees dubbed them 'The Diaper Derby." 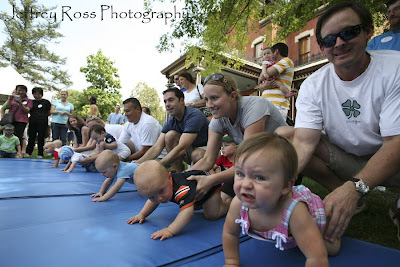 Parents went absolutely nuts trying to lure their kid from one side of the mat to the other. The jangled keys, dragged their point-and-shoot camera on the ground, yelled, and just about every other thing your can think of to get them moving. One old lady even used her walking cane because (as she kept yelling out), "Here it is! You love Grannies cane! See, that's what he wants!"